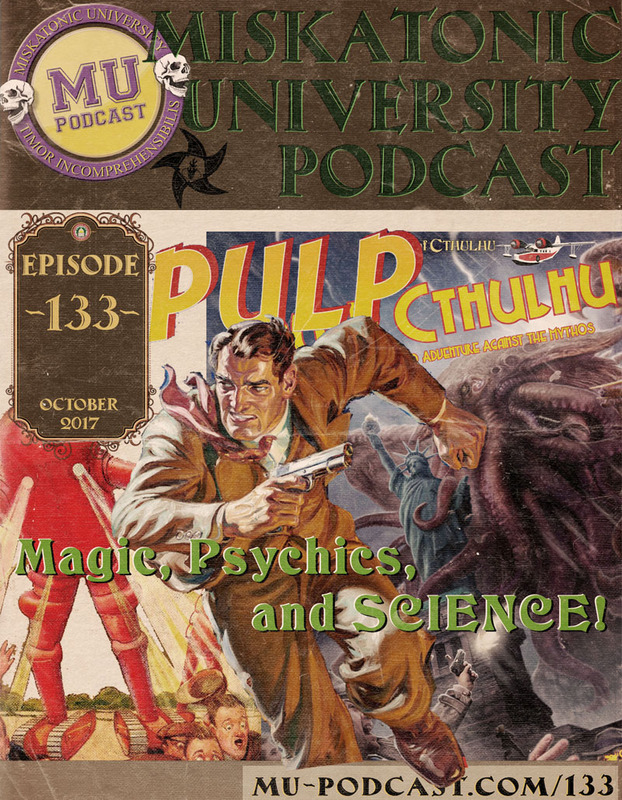 MUP 133 – Pulp Magic, Psychics, and SCIENCE! The Dare has funded and wrapped up. 667 backers. Over $10,400 raised. Met nearly all of its stretch goals, the last one of which I am helping with – Mythos and notable pulp writers and figures in child form as pregens. Devil’s Swamp funded and only has three days left (will be closed by air time). 608 backers, +$21,400 raised. For the Love Of is available for download, and has been >745 times! Focus Home Interactive’s Call Of Cthulhu has been delayed until 2018. Discuss this episode on the Campus Forums.